With Memorial Day marking the unofficial start of summer, the outdoor dining season is now in full swing. 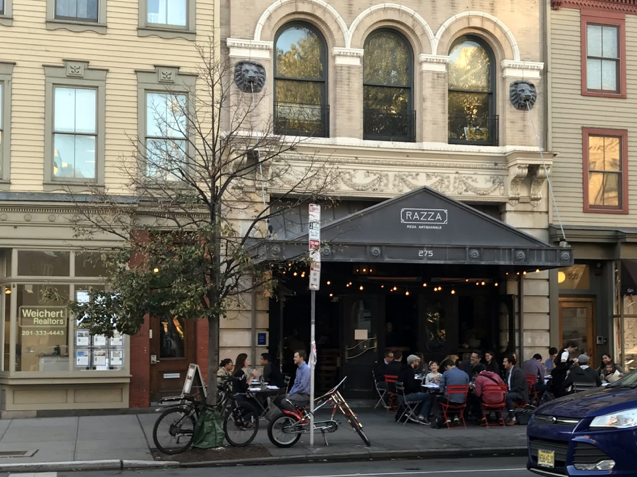 Jersey City’s hot restaurant and nightlife scenes provide an abundance of great al fresco options, and some of the best places to enjoy a meal or drink in the summer air are located in Paulus Hook and its adjacent neighborhoods. Here are just some of our favorite outdoor dining spots within walking location of Lenox. As we’ve told you previously, we love the atmosphere at Light Horse. 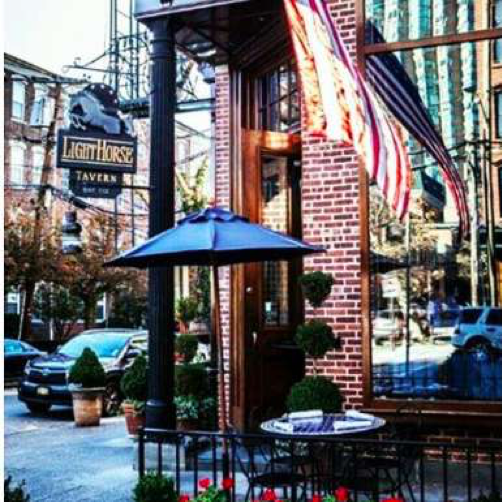 Like the interior of the restaurant, the outdoor seating at Light Horse is super cozy. The umbrellas, flowers and greenery, and quaint environment will help you relax while you enjoy brunch, lunch or dinner. If you like authentic Mexican food, it’s hard to top Taqueria, as evidenced by the wait time for a table during the weekends. (Well worth it!) 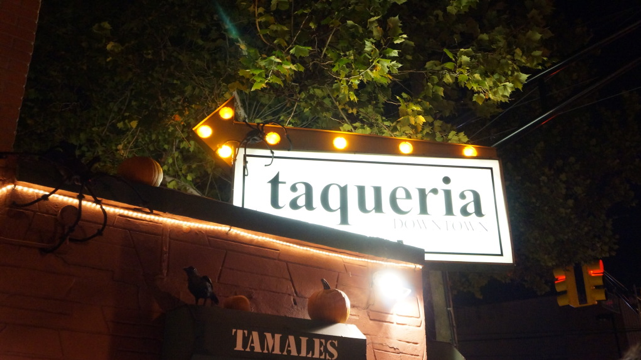 Enjoying a margarita and some tacos in Taqueria’s garden area is a must for anyone who lives in or around Jersey City. When The New York Times declared last year that the best pizza in NYC is actually in New Jersey, many people found out what we already knew: The artisan wood-fired pizza from Razza is amazing. And we’d venture to say that it tastes even better when you’re enjoying it at one of the picnic tables that line the Grove Street restaurant’s sidewalk. 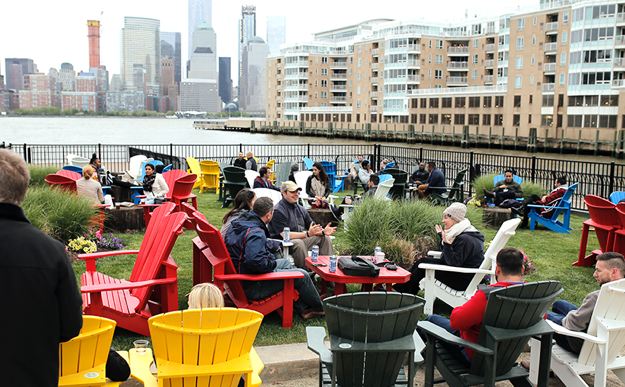 After opening last year on the Jersey City waterfront, the Lutze Biergarten has become a hub in Downtown Jersey City for drinks, games and entertainment. 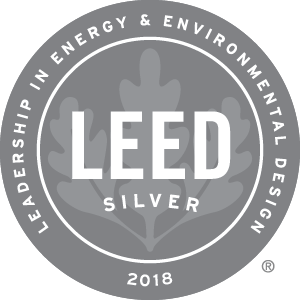 Proximity to the Hudson River is one of things that makes Lenox such an amazing place to live, and new venues such as Lutze are activating the waterfront in a way that brings the community together like never before.